The short week was quite volatile as traders sat on the beach…and the weakness in metals was the standout in my books. Let’s move right into the charts and check the carnage. 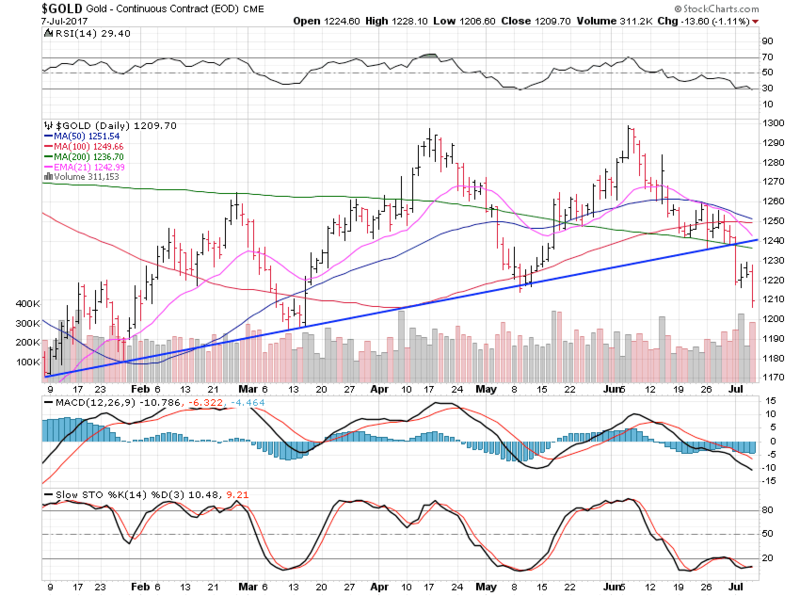 Gold lost 2.62% and broke a major uptrend line. 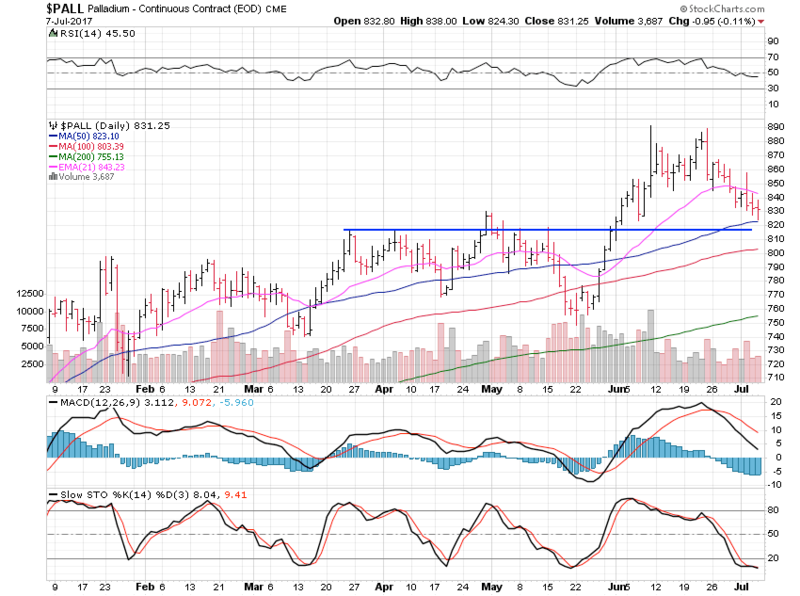 The action was very, very poor, accompanied by heavy volume…which tells me more downside is in gold’s near future. Looks to me like the major $1,180 pivot area is soon to be back in play - and below that is support at $1,130. Let’s see how next week plays out. However, $1,180 should be a good level to at least get a short-term bounce play. Unlucky silver cratered, losing 7.23%. Friday saw a sharp spike that was more of a false print by the looks of it. Moreover, I’ve yet to see any explanation for it that makes sense other than a fat finger trade. Silver quickly recovered from the spike…but had a very weak day regardless. 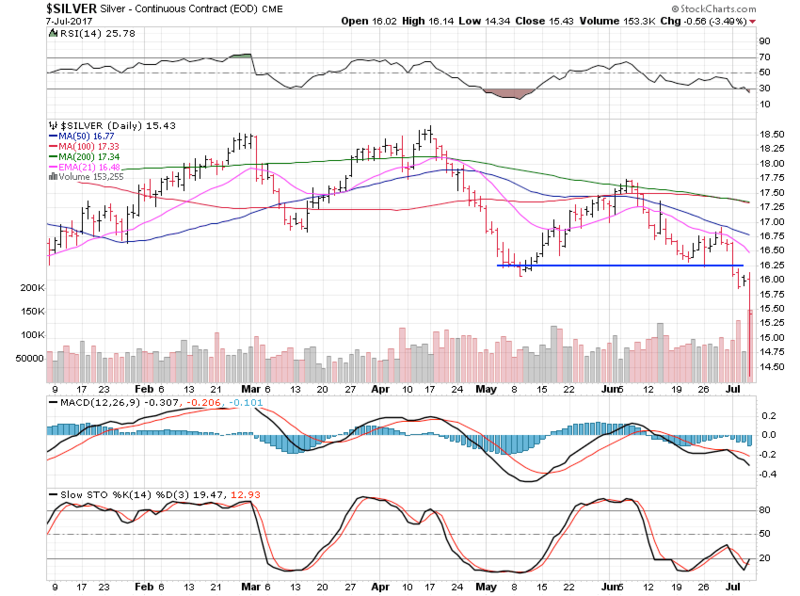 As long as silver is below $15.70, the only support we’ve got to look at is down at $13.65. 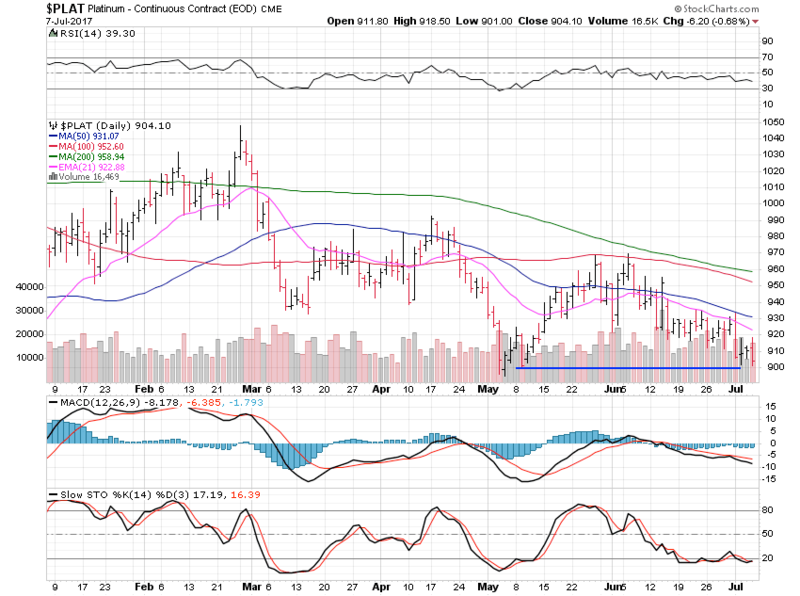 Platinum fell 2.41% and has to hold here or risk another $100 on the downside. $890 is a key support level - and below that is $820. Consequently, it must make a stand soon…or more weakness will set in. Palladium won the week by only falling 0.65% and keeping its chart looking relatively dignified in comparison. We should see the $820 area hold. However, I’ve been wrong before many times. To be sure we may be in for a good week in terms of leading stocks. Nonetheless, metals are in the dog house and looking for a bone. Hopefully we see some support levels hold mid-week…but let’s wait and see.